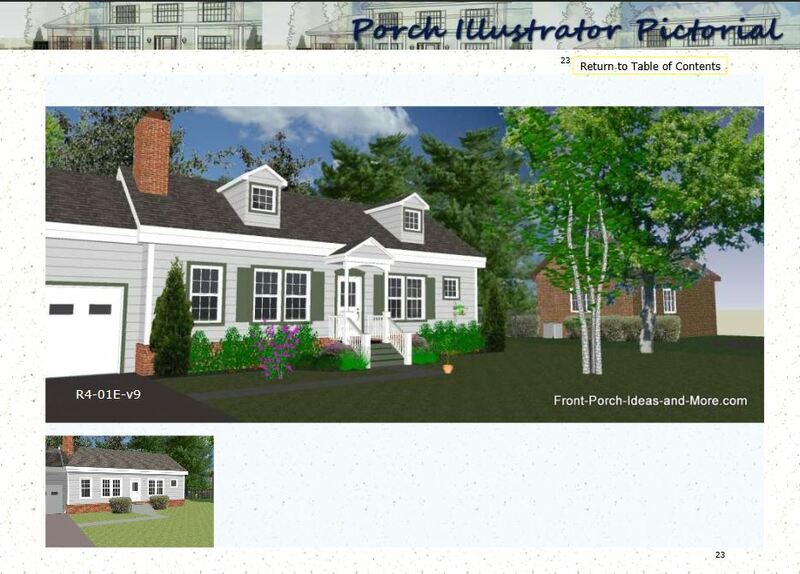 Mary and I are passionate about helping you "visualize" what your porch may look like before you build it. That is why we compiled this 300+ page picture eBook for you. It is so big we put it into two volumes. 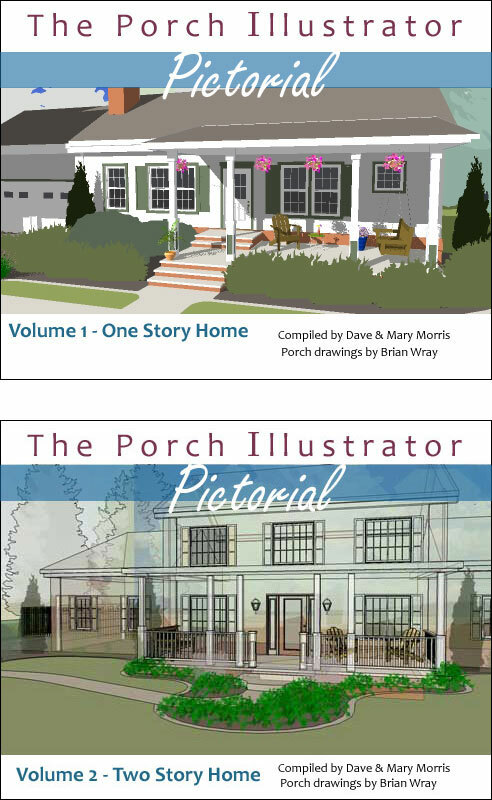 We show you both a one-story (Vol 1) and two-story home (Vol 2) with different front porch designs to spark ideas for YOUR porch. 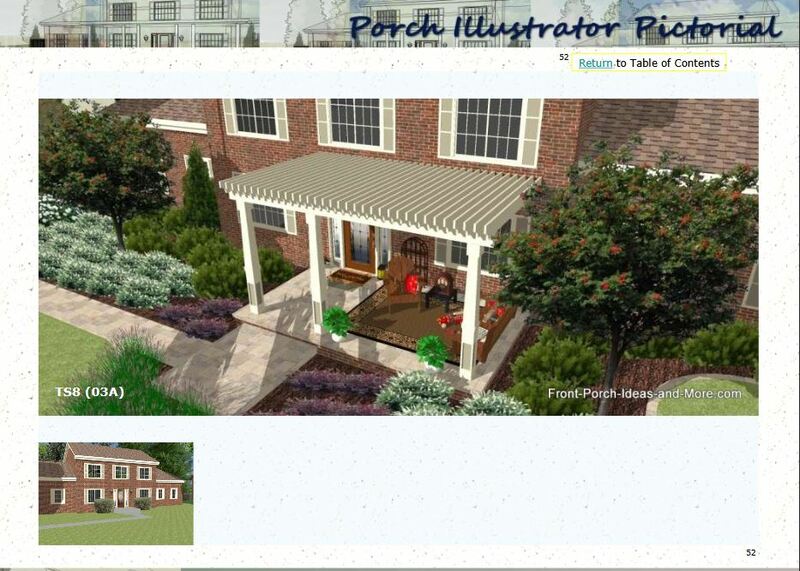 And we show you the porch designs from all different angles so you can get a real "feel" for the porch. 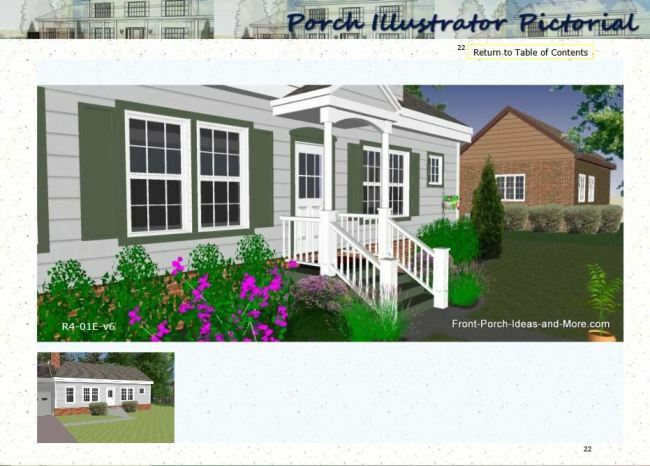 Our conceptual drawings show you these porches from various angles - almost as if you were there walking around the front yard. Our picture eBook will help you actually 'feel' a little bit like being there. Same ranch home up closer to help you feel like "being there"
Two-story home with a nice pergola-covered porch. In our book, you will see the same porch design from different angles and get ideas for landscaping, walkways and even furniture placement. 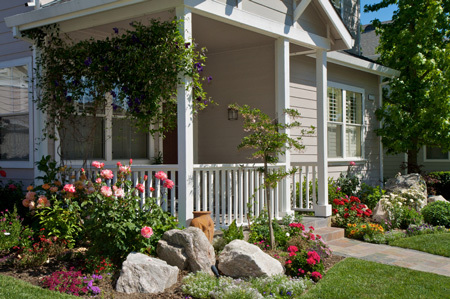 Get some simple porch decorating ideas. We 'decorated' some of the porches with furniture, rugs, plants and amenities and we don't mind a bit if you copy those ideas on your porch. The decorating is not elaborate - we added it here and there just for fun! Answer: Simply put, our conceptual drawings will help you sort through various porch designs so you can get a feel for your own porch. We show the porches from many angles to give you an idea of how it will look from the side, the front, up-close, from the street, even above. Get the idea? 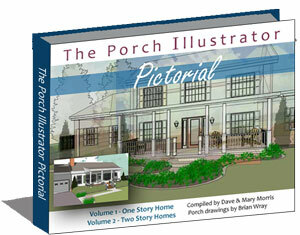 Our book is a very tiny investment to help you decide how you want your perfect porch to be. Purchase now. You get both volumes for one little price. The Porch Illustrator Pictorial comes with a 100% guarantee: If you are not satisfied with it, just contact us within 60 days of your date of purchase - and we'll issue you a 100% refund with no questions asked. The Porch Illustrator Pictorial eBook is two PDF files that you can download immediately to your computer. It is not a physical product. If your computer doesn't have the Adobe Reader software, you can easily install Adobe Acrobat for free. Take time to enjoy your porch. 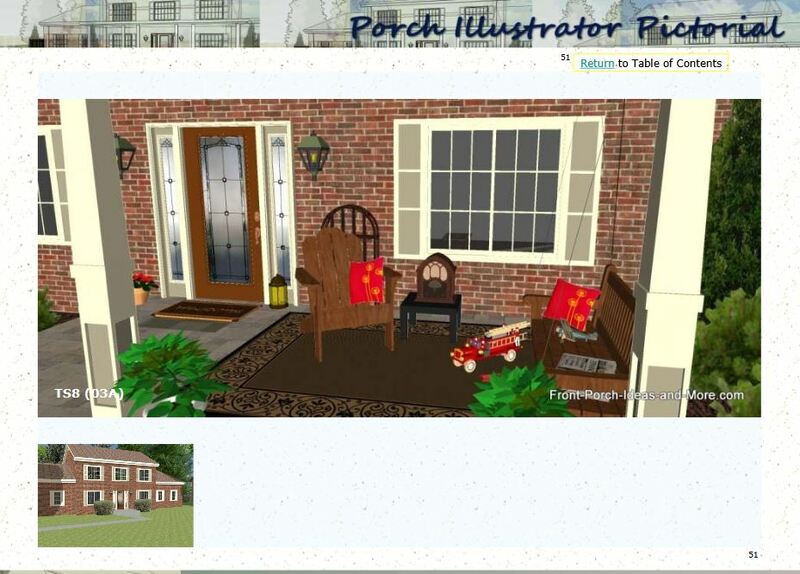 DISCLAIMER: The eBook does not contain actual porch plans; it contains conceptual illustrations to give you ideas for your porch. The purpose of this ebook is to educate, inform and help you generate ideas for your home. The reader assumes responsibility for the use of this information. Your results may vary from those shown in our eBook.